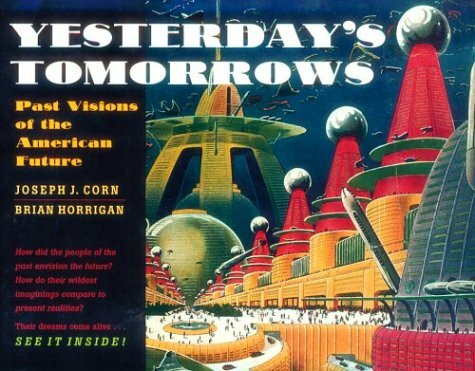 For the 1964 World's Fair in New York General Motors hoped to create the same sense of wonder that it had achieved with its Futurama exhibit of the 1939 New York World's Fair. Futurama II expanded upon the highways, cities and conveniences of tomorrow to include lunar and sea exploration. The photo above shows manned "Lunar Crawlers" that are the main form of transportation for future moon travelers. This image appears in the excellent book Exit to Tomorrow: World's Fair Architecture, Design, Fashion 1933-2005.